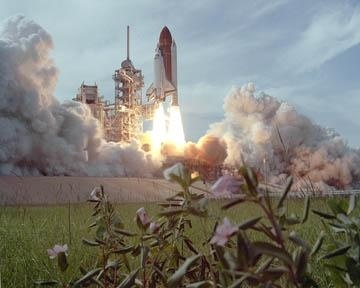 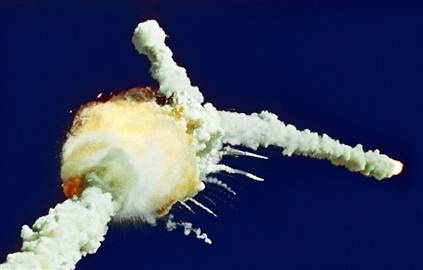 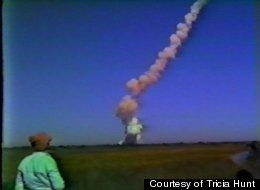 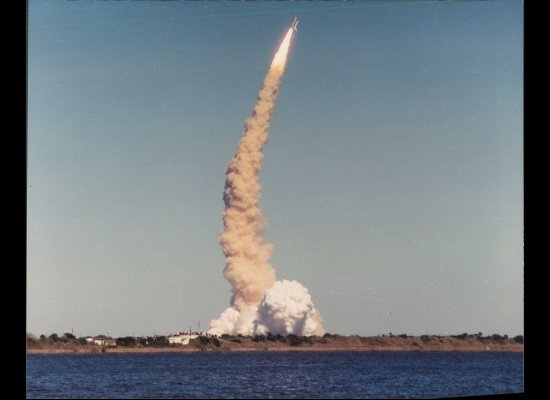 The Space Shuttle Challenger disaster occurred on January 28, 1986, when the NASA Space Shuttle orbiter Challenger (OV-099) (mission STS-51-L) broke apart 73 seconds into its flight, leading to the deaths of its seven crew members, which included five NASA astronauts and two Payload Specialists. 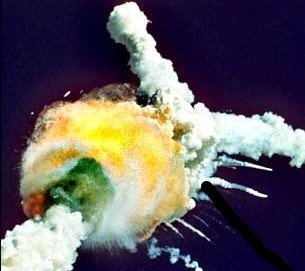 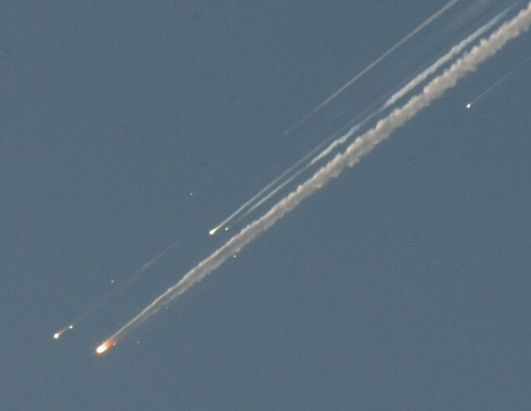 The spacecraft disintegrated over the Atlantic Ocean, off the coast of Cape Canaveral, Florida at 11:38 EST (16:38 UTC). 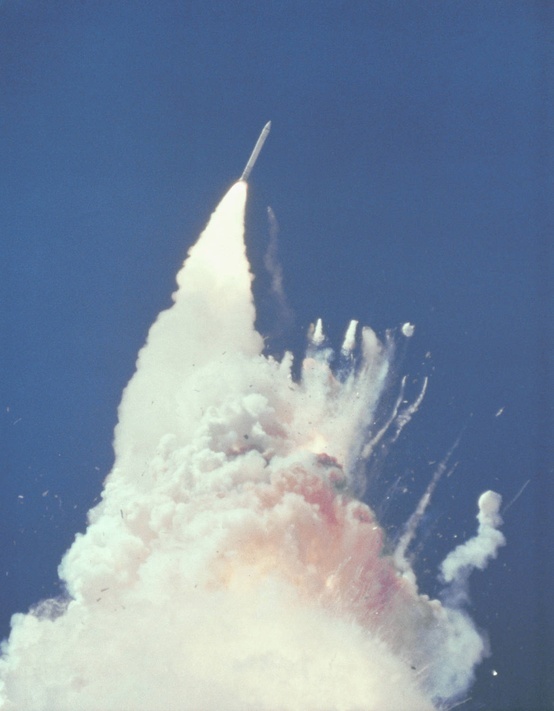 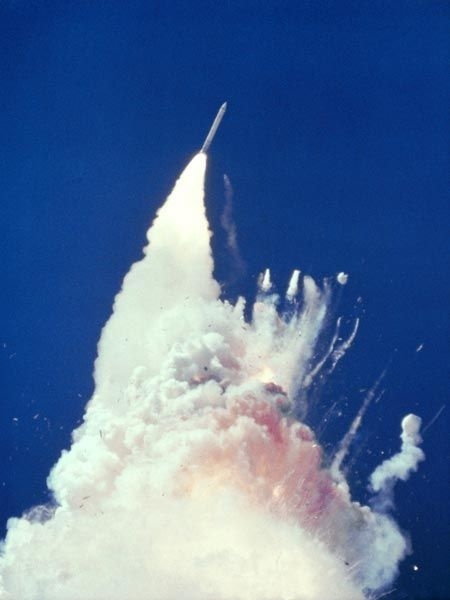 Disintegration of the vehicle began after an O-ring seal in its right solid rocket booster (SRB) failed at liftoff. 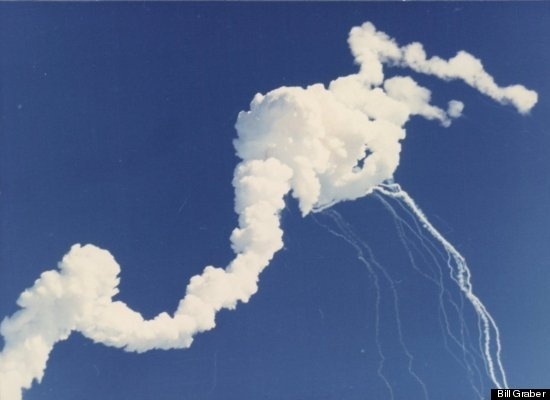 The O-ring failure caused a breach in the SRB joint it sealed, allowing pressurized burning gas from within the solid rocket motor to reach the outside and impinge upon the adjacent SRB aft field joint attachment hardware and external fuel tank. 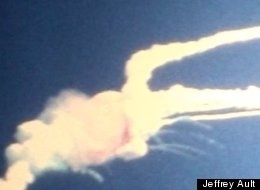 This led to the separation of the right-hand SRB's aft field joint attachment and the structural failure of the external tank. 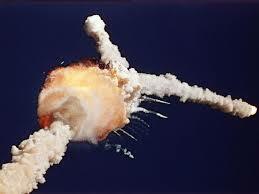 Aerodynamic forces broke up the orbiter.